UK Trade & Investment and the Nuclear Industry Association present a two-day showcase for the UK civil nuclear supply chain. The event, at the Holiday Inn, Regents Park, will allow overseas delegates to learn more about the UK civil nuclear offer, and give UK delegates the opportunity to understand overseas markets. There will be networking opportunities, including one-to-one meetings. 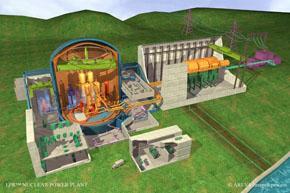 For more information, see the Civil Nuclear Energy Showcase 2013 website. Areva has signed initial agreements with 25 UK manufacturers to supply products and services for its proposed new reactors at Hinkley Point. The announcement came as regulators confirmed that the Areva EPR design is suitable for construction in the UK. The French reactor provider has signed memoranda of understanding with 25 UK-based companies for the supply of components and services, including forgings, valves, pumps, cranes, electronics, piping, tanking and refrigeration units. Areva has identified these companies as pre-qualified to supply products that meet the strict nuclear industry standards: it has also identified another 25 companies with the potential capability to meet its requirements. The Nuclear AMRC will work with all 50 companies to help them qualify and bid for work. The Nuclear AMRC’s role in supporting UK suppliers was confirmed by the government’s Nuclear supply chain action plan released in early December. The plan sets out targets for the Nuclear AMRC in helping companies enter the nuclear market, improve their processes and gain the qualifications and certifications they need to meet nuclear quality standards. EDF Energy, in partnership with Centrica, proposes to build two Areva EPRs at Hinkley Point, Somerset, and another two at Sizewell, Suffolk. Together with a previously announced MOU with top tier supplier Rolls-Royce, Areva’s supply agreements could be worth up to £400 million to British industry. 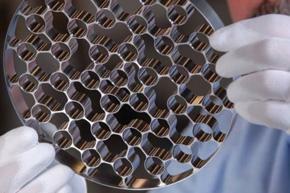 Areva is continuing to identify additional potential suppliers in the UK, through the Nuclear AMRC’s Fit For Nuclear programme and other initiatives. The regulatory road towards new Areva reactors in the UK has also passed a significant milestone. The Office for Nuclear Regulation (ONR) and the Environment Agency confirmed that they have closed the last issue with the EPR identified in the Generic Design Assessment (GDA), and have granted a formal Design Acceptance Confirmation and Statement of Design Acceptability. This clears the way for the EPR to be built at multiple sites in the UK, although each will still require site-specific consents and approvals. The EPR is the first of the new generation of reactors to win this generic approval, following a five-year assessment. Westinghouse has said it will not address the outstanding issues from the GDA of its AP1000 design until it secures a UK customer. Hitachi’s Advanced Boiling Water Reactor – which it proposes to build at Wylfa, Anglesey and Oldbury, Gloucestershire, following its acquisition of Horizon Nuclear Power ­– has yet to begin the GDA process.